I like it because it’s colorful and attracts hummingbirds. But I’m not the only one that likes it. As you’ll see, someone else does too, for different reasons. Now, when the garden gate is close, the critters can’t reach it. When the garden gate is open, uh-oh, at least one of them can. 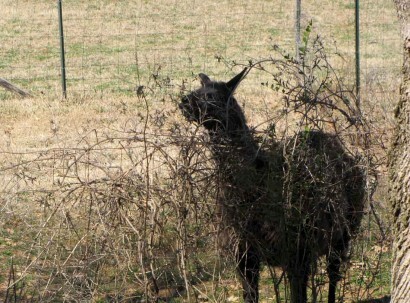 Our llama seems to think the leaves of the honeysuckle vine are quite tasty. You will notice in the video below she does NOT touch the branch of privet poking up through the honeysuckle. She’s quite adept at stripping the leaves off. Evidently she thinks they are delicious! 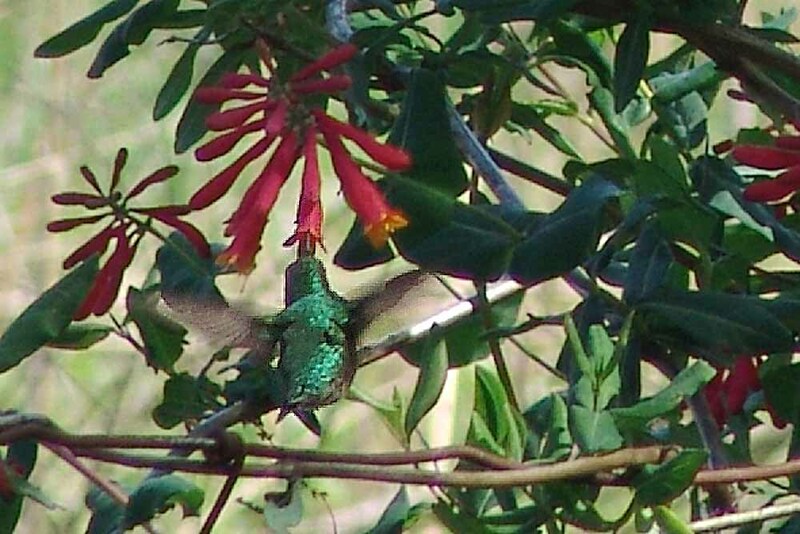 I know when we were kids we’d pull the flowers apart and try them because of the sweet nectar, and the hummingbirds obviously like the nectar, but I never thought about the leaves being a treat too. But our llama sure thinks they are. I guess that’s one way of trimming the honeysuckle. Oh, and just in case you were wondering, those blurs flashing across the screen in the video are birds zipping to and from the nearby feeders.